By combing his experience in the field of (cycling) mobility and his training as an urban planner Sjors is able to create effective connections between these fields of expertise. He believes that public space is not just transportation space, just as that traffic and mobility is not just about moving goods and people. The trip in itself, be it on a bicycle, in a car or in a train, can add value to the traveller ánd to the inhabitant of a city. By allowing people to move in and between place you create connections and facilitate social interaction creating innovation and a sense of belonging to space and place. In the past years Sjors has been working at several governmental levels; regional, state and the national level. 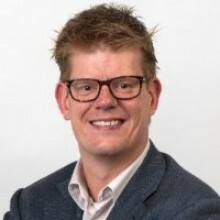 - DCE expertise: As a Dutch urban planner and an expert on active transportation and inter-governmental policy development and implementation, Sjors can contribute to global questions on liveability, health and active transportation, cycling in particular.